Help us bridge the digital gender gap in STEM! 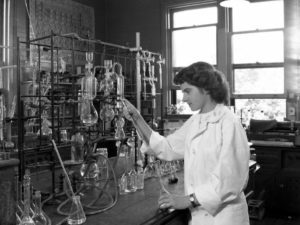 Ingenium – Canada’s Museums of Science and Innovation is pleased to host its first Wikipedia Edit-a-thon in celebration of the International Day of Women and Girls in Science. Sign up and join us to edit, add or translate Wikipedia entries for women in STEM. Visit our web site to learn more! 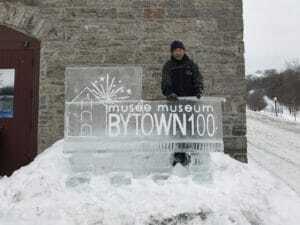 The BYTOWN MUSEUM's 6th annual ice carving demonstration. 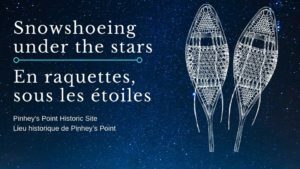 See amazing artistic skills on display during this live demonstration at the BYTOWN MUSEUM. Watch as a single block of ice is carefully carved into a stunning work of art. 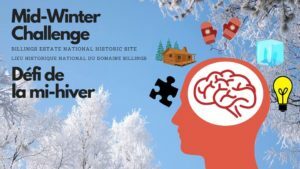 Warm up inside the museum with hot chocolate, warm apple cider and Ottawa history! 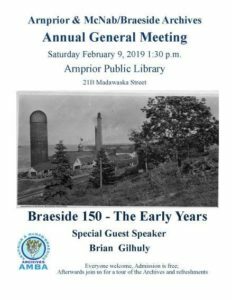 The Arnprior & McNab/Braeside Archives Annual General Meeting is Saturday, February 9 at 1:30 p.m. at the Arnprior Public Library. 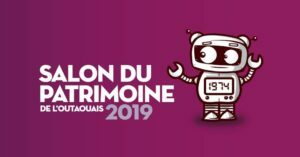 They will be talking about what they have been up to this year, as well as hear a special presentation by Brian Gilhuly on the early years of Braeside!